"A new "gold rush" is under way in the American West, but this time the prospectors are out for another metal: uranium. The Grand Canyon region in the US state of Arizona holds one of the nation's largest concentrations of high grade uranium, the fuel for nuclear power." "Mining companies stake claims on federal land adjoining the park, while opponents say drinking water will be at risk." "The new data shows that some seaweed contamination levels are not only 50 times higher than safety limits – far higher than our initial measurements showed – but also that the contamination is spreading over a wide area, and accumulating in sea life..."
The explosion was most likely caused by melting fuel coming into contact with water." "Ex-servicemen who took part in nuclear tests in the 1950s have won the right to sue the government for compensation. It "is the process in which an unstable atomic nucleus loses energy by emitting radiation in the form of particles or electromagnetic waves." "The U.S. Department of Energy’s nuclear security office is developing a project to help other countries deal with nuclear waste. The information comes from two sources who spoke to the Reuters news agency. They asked not to be named because of the sensitivity of the issue." declared 29 August the International Day against Nuclear Tests." but without a doubt if Iran developed a nuclear bomb, we will follow suit as soon as possible." "French institute says pollution suggests release of nuclear material in Russia or Kazakhstan in September." "The Tsar Bomba was the USSR's response to the nuclear weapons race in the Cold War. But it was far too powerful to use." "International scepticism and condemnation have greeted North Korea's claim to have successfully carried out an underground hydrogen bomb test." "The agreement includes a plan for inspections of Iran’s nuclear centers and limits on the machines used to manufacture material for nuclear weapons. President Obama’s political opponents do not support the deal." "The US president says the agreement “cuts off every single path” for Iran to build a nuclear bomb." "For the United States, the agreement with Iran does not represent an official treaty. So approval by two-third of the Senate is not needed. But Congress passed, and President Obama signed, a measure giving lawmakers 60 days to approve or reject an agreement with simple majority votes." - the hub of the Country’s alternative seat of power outside London." "One of the top nuclear weapons research facilities in the US will remain closed until Thursday as fire fighters battle a wildfire raging at its boundary... The lab employs about 11,800 people, and about 12,000 people live in the town of Los Alamos." you can base your energy policy not on nuclear, not on coal, but on renewables." A cloud of nuclear mistrust spreads around the world - 16 March 2011 - Special report by Michael McCarthy. "After decades of lies, nuclear reassurances now fall on deaf ears." Video: Does the world need Nuclear Energy? "Ever wonder how a nuclear reactor works? Here are some graphics that will quickly bring you up to speed on how electric generation works using nuclear fuel." "In 2010, the next five-yearly review conference of the Nuclear Non-Proliferation Treaty will be held. President Obama has spoken of his hopes for a nuclear-weapons free world. Is a nuclear-weapons free world possible? What do nuclear-weapon states say? What weapons have the nuclear states given up?..." "A nuclear fission chain reaction is started and controlled inside the reactor to produce electricity." "A nuclear blast is an explosion with intense light and heat, a damaging pressure wave and widespread radioactive material that can contaminate the air, water and ground surfaces for miles around. 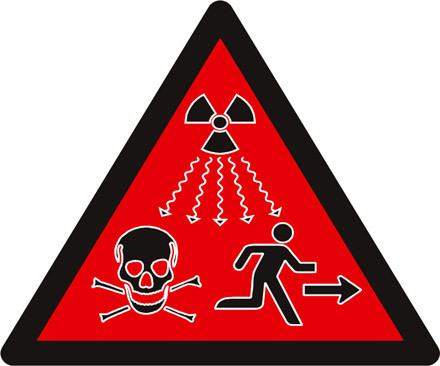 During a nuclear incident, it is important to avoid radioactive material, if possible. While experts may predict at this time that a nuclear attack is less likely than other types, terrorism by its nature is unpredictable..."
1. Know the effects of nuclear explosions. 2. Know the facts about radioactive fallout. 3. Know the warning signal and have a battery-powered radio. 4. Know how to take shelter. 5. Have fourteen days emergency supplies. 6. Know how to prevent and fight fires. 7. Know first aid and home nursing. 9. Know how to get rid of radioactive dust. 10. Know your municipal plans. 11. Have a plan for your family and yourself. "will show you how terribly destructive thermonuclear weapons are. Choose a Weapon / Enter Location of Target / DETONATE!" "Though nuclear power is a good source of energy and is generally not a threat, there have been instances when security measures have failed. Nuclear meltdowns can cause dangerous radiation to escape into the surrounding environment." "A NUCLEAR power plant (Tricastin) in a tourist region of southern France has been closed after a uranium leak polluted the local water supply..."
— was impossible to achieve. called The Family Fallout Shelter. a cube constructed of concrete block and mortar." Des activistes de Greenpeace "installent 200 croix dans le golfe de Corinthe pour protester contre l'installation d'une nouvelle centrale nucléaire, Grèce, le 30 septembre 2008." Explore our global database of nuclear reactors." "Following the radiation leak at the Fukushima nuclear power plant in Japan, caused by the terrible earthquake and tsunami that hit the country on 11th March, this lesson discusses some of the pros and cons of nuclear power." 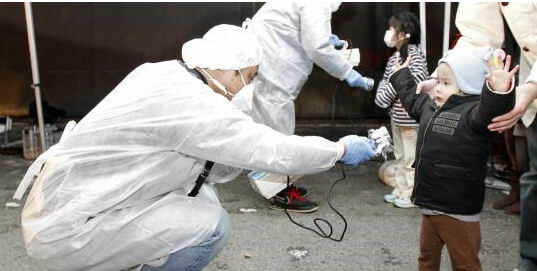 "Japan has started removing fuel rods from the stricken Fukushima No. 1 nuclear power plant." and collected all the dogs and cats and rabbits and chocolate marmots abandoned..."
I'm breathing in the chemicals..."
Radioactivity discovered by Madame Curie"
Who on Earth is exposed to the most ionizing radiation? Derek Muller from Veritasium investigates. "On July 16th, 1945, the United States conducted the world's first test of a nuclear weapon. bringing about the end of the Second World War. 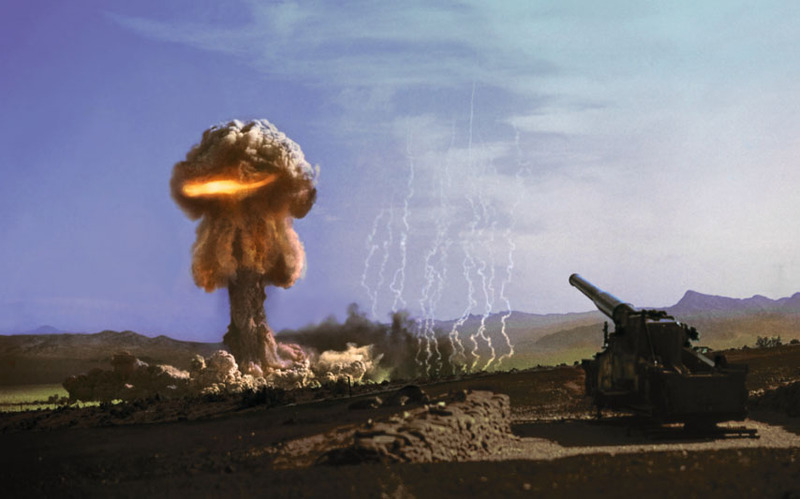 No nuclear bombs have been used as weapons since the attacks on Japan, but thousands of tests have been conducted – primarily by the US and USSR throughout the Cold War." "Greenpeace activists chain themselves to a railway track in protest against a nuclear waste transport train in Germany." "In 1956 The Ed Sullivan Show once ran a cartoon depicting the effects of a nuclear bomb. His unsuspecting audience was treated to a trippy, surreal animation that features a man’s face being melted off and the onslaught of nuclear devastation on the earth." "The film is composed mostly of still drawings, creating a terrifying effect amplified by a sombre commentary spoken in the style of the Bible..."
"25 years after the Chernobyl nuclear accident, a look back at the long-term effects and what we've learned." "Japanese nuclear workers have come out and said they know they could die from radiation within years—or even weeks—from cancer." "The animation personifies the nuclear plant in Fukushima as a sick child." "Could, and should, nuclear energy break America’s dependence on black gold? Lori Harfenist talked to people on the streets of New York about the pros and cons of nuclear power." The 300 sq ft cavern has concrete walls which are 32 inches thick and enough food and water to sustain his family for a month. " The film opens with a June 2003 quote from E. Manningham Buller, director general (DG) of MI5: "It will only be a matter of time before a crude chemical, biological or radiological (CBRN) attack is launched on a major western city" and provides the basic premise for the film. The film is considered an accurate portrayal of a potential radiological terrorist attack with subsequent emergency response. As such, the film has been used to train first-responders in the US who may be called upon to respond to similar incidents." "is a feature documentary film directed by Danish director Michael Madsen, released in 2010. It follows the digging and pre-implementation of the Onkalo nuclear waste repository on the island of Olkiluoto, Finland. Director Michael Madsen questions Onkalo's intended eternal existence, addressing an audience in the remote future. This film explores the question of preparing the site so that it is not disturbed for 100,000 years."